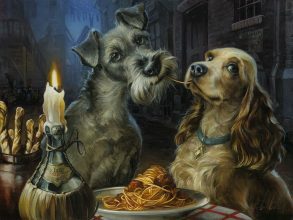 Bella Notte Lady and the Tramp Treasures on Canvas by Heather Theurer is a limited edition gallery-wrapped canvas from Disney Fine Art. 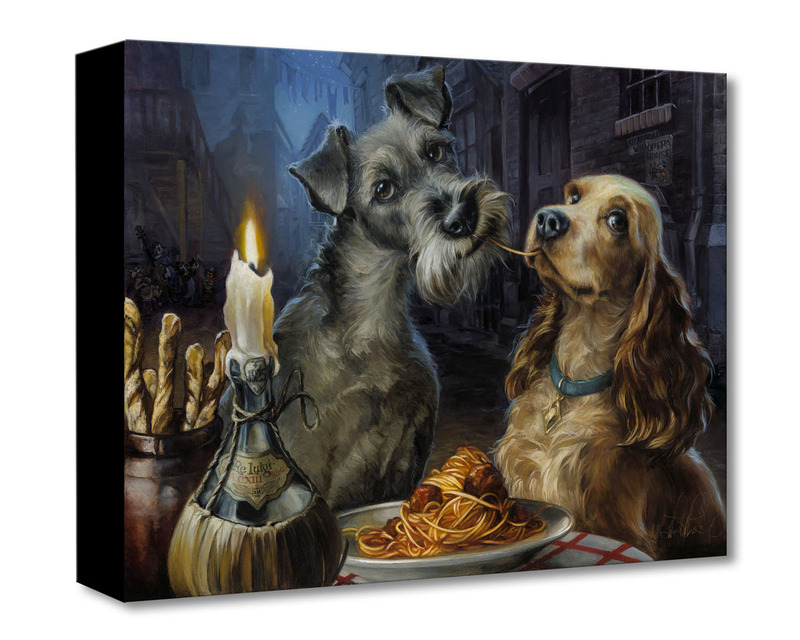 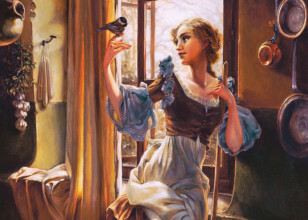 This lovely, realistic depiction of Lady and the Tramp from Heather Theurer makes a stellar addition to the Treasures on Canvas series. 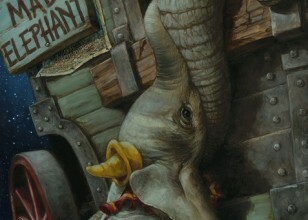 There are even several Easter Eggs throughout to painting, such as the Steamboat Willie posters behind Lady and the wine bottle's year of 1925 (the year Walt Disney married his wife, Lillian)!